One thing that I learned really quickly about LA is that the stereotypes about the weather are completely true. It’s always hot, which is something that I’m not totally used to. It’s completely acceptable (and encouraged) to wear a mini skirt in September, and honestly, I couldn’t be any happier. I got the pair that I’m wearing in this post from VIPshop and I’ve been wearing them on repeat. The best part is that they’re versatile enough for every season, especially here in LA, which makes it the perfect transitional outfit piece. Typically, I love to pair these type of denim mini skirts with a structured blouse and some simple accessories. For the transition to Fall, I paired it with an oversized blazer and some ankle boots for a little bit of an edge to this otherwise really simple look. 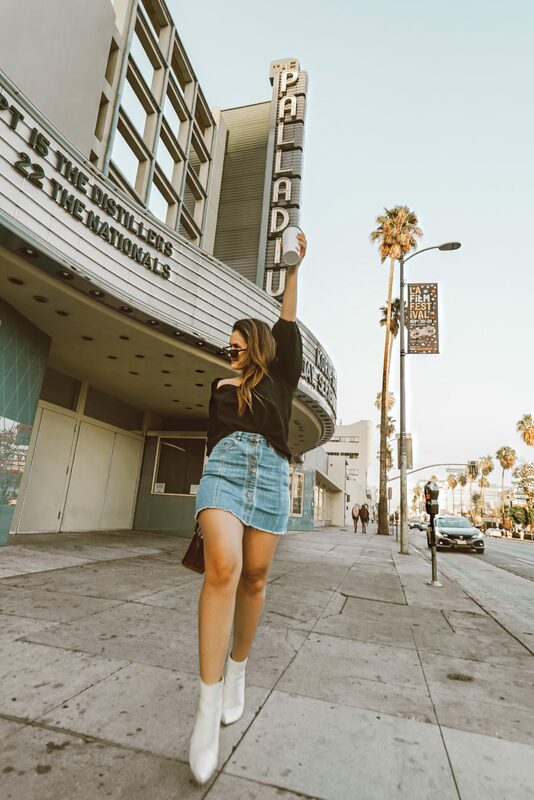 What’s your favorite way to style your favorite denim mini skirt? Let me know in the comments below! PS – Just for my readers, you can use the code: Lily1159 for $5 off on orders over $50 from VIPshop.